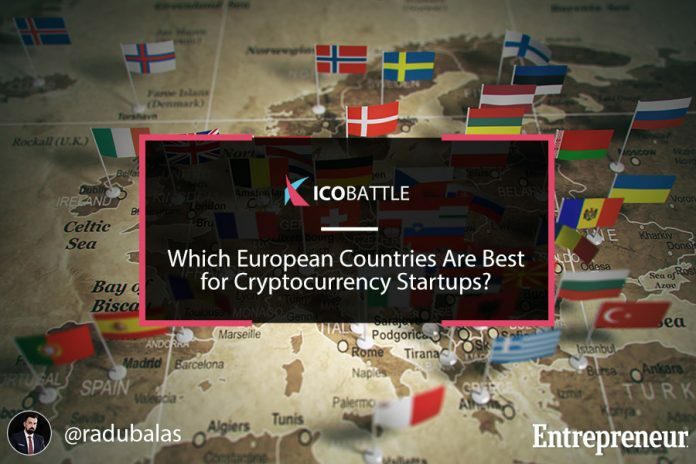 Home Articles Which European Countries Are Best for Cryptocurrency Startups? As cryptocurrencies become more popular, countries are starting to introduce laws to regulate them. When it comes to cryptocurrency, there are a lot of differences from one country to another regarding regulations and legislation. Which ones are the most suitable in which to set up a cryptocurrency business? One of the countries where many companies already decided to run their business is Estonia. There are a few reasons why you should take this country into consideration. For starters, Estonia is one of the countries with the highest internet penetration rates in the world. There are Bitcoin ATMs, the first of which opened in Tallinn back in 2015. Moreover, the country’s government seems to be ready to take it to the next level, as it plans to create the so called “estcoin” — technically not a cryptocurrency, as it’s more of a token, but still a great step into the crypto world.